Welcome to the latest PowerPivotPro Coffee Talk, where members of the community discuss various topics related to Power BI, Power Pivot, and Analytics/BI in general. These conversations take place during the week on a Slack channel, and are then lightly edited for publication. In this installment of our Coffee Talk series, we’ll be chatting with DAX heavy hitters: Austin Senseman, Matt Allington, Kasper de Jonge, and Marco Russo. Let’s introduce everyone. Kasper de Jonge, Program Manager at the Power BI team at Microsoft and passionate BI practitioner with deep knowledge of the Business intelligence market, specializing in Microsoft BI, Cortana Analytics and Azure data stack. As an active member of the Microsoft BI community he shares his findings and knowledge on Power BI through his blog https://www.kasperonbi.com, several white papers and sessions at conferences like SQLPass, SQLBits, Ignite and many other events around the world. Marco Russo, Founder at SQLBI, Business Intelligence consultant and mentor. His main activities are related to data warehouse relational and multidimensional design, but he is also involved in the complete development lifecycle of a BI solution. Marco is also an author and, in addition to his many BI-related publications, has authored books about .NET programming. He is also a speaker at international conferences such as TechEd, PASS Summit, SQLRally, and SQLBits. Matt Allington, BI Professional with over 30 years’ experience in the Consumer Packaged Goods industry, Principal Consultant here at PowerPivotPro, owner of the company Excelerator BI and author of “Learn to Write DAX – A Practical Guide to Learning Power Pivot for Excel and Power BI” and “Supercharge Power BI – Power BI is Better When You Learn to Write DAX”. Doing well – it’s the season of pumpkin spice latte and football here in the US. That’s all exciting. Are we going to use the chat or voice? we’re just going to chat, so I don’t have to transcribe later. How is Europe? Are you in Eurpoe? End of summer, start to cool down in Southern Europe and rain as always in the North. It’s supposed to be winter there..
Alright first question, where are you located right now and what time is it? Look it was hard enough to get all three of you together at one time and this is what worked. Different time zones are challenging. Marco, I have a question for you. ie have things picked up? Let’s start with the introduction. I’m Marco Russo, I have been working in BI since before Microsoft launched OLAP Services in SQL Server 7, and I always followed this market, regardless of the name (BI, BA, ML, DSS, whatever…). I have my roots as a developer (C++, Delphi, C#, Win32, .NET). I wrote several books about DAX and Tabular. My name is Kasper de Jonge, I am a Principal Program Manager at the Power BI team working in the customer success team and have also worked on a lot of the different products like Power Pivot, PBI desktop and ofcourse the AS engine. Before that I was a BI consultant building MOLAP cubes and SSRS reports. @matt: An explanation is that Power BI is growing very quickly and this generates demand for training, too. And I am Matt Allington, independent Power BI Consultant based in Sydney Australia. I do freelance consulting and training for anyone that wants to learn about Power BI. All of those introductions are so humble, which I appreciate, but I think everyone reading this will recognize that you guys are at the top of your field when it comes to this stuff. Power BI feature – and PivotTables had that for a while. Ok, so variables. This is one i really like – is it completely new? no. Completely awesome, yes. @marco How would you describe what a variable does to someone who’s not using them yet? Variables are a way to split a calculation in smaller steps. Just as you would do with multiple calculated columns, but without having to store them and with a much more powerful expressivity. BTW, did you use SSMS or DAX STudio? I want to pick up on a comment Matt made “Frankly most of the new DAX I don’t use. I find that it already does most of what I need” – I find that to be true as well. This is a good thing for us teachers right? So now it’s that time, and we are starting using it. But as humans, it’s normal to be stuck to old habits. So what was the defining moment for SuperDAX? It is pretty hard to explain to someone why they need IF(HASONEVALUE(table[Column]),VALUES(Table[Column])). We included it in The Definitive Guide to DAX book – but we didn’t use it so much, otherwise the book would have been useless to all the readers not using older versions. I taught a class today using SELECTEDVALUES and GENERATESERIES for the first time. They all got it immediately. I think the main problem today is still the core concepts, I had to point to a post from 2010 today. It is not so much around the functions themselves. @kasper, so var makes things more efficient? @matt yes instead of executing it multiple times you can store the result in a variable. The entire thing of DAX is the following: it has concepts that don’t exists in *any* other language. So developers and business users who already learnt something (VBA, R, C, SQL, …) try to apply their existing knowledge to something that works in a different way. And they don’t understand why a function doesn’t work as they expect. They assume they know how the DAX language should work, when they never worried about checking whether it’s different or not. This is what keeps me in a job! The funny thing is that also MDX was different. But because it has a completely different syntax (thinking to SCOPE) people realized there was something to study. DAX tried to resemble Excel formulas, and here is where the issue started. filter context and context transition. @kasper I would not swear that it always works by the way! you mean re: hard topics for students? Kasper, as a consultant I’m happy about what MS is doing, but I think that strategically that is not the right thing to do. @marco why do you say that? Well, you can try to create some candy functions that solve specific problems, but usually there functions hide some complexity and might introduce some unexpected behavior that requires more work to be solved for an unexperienced user. Providing more examples to users would work better, and MS would save money by investing there rather than in new functions that have to be supported later. I agree with you, Matt, but the key to leverage the community is to enable smart templates to be included in the product. The Quick Gallery doesn’t work well for this. A big reason for some customers to not even look at PBI is that they HAVE to write DAX for everything. Now they don’t have to anymore. can you ask Miguel where it is? Quick Gallery could work much better – this is what I meant. Today it’s a small toy. Marco one step at the time. just to try to make it seamless? who don’t know how to use a date table? But why creating one table for every date? Yes, but polluting the model with tens of date table is not a good idea. Don’t start me about defaults! I don’t want any software developer interfering with my relationships!! I love it when Excel folks start to get there are relationships and you see the light go on! @kasper who are the personas in the MS world RE: DAX? and hence I have missed all this. as I mentioned earlier there is not much active development in DAX as a language at the moment, It is more adding new functions to support new UI features, like IN. Some exceptions are around things like selectedvalues that a dev just decided to do. So let’s move toward wrapping up. Yes, but where does feedburner go? One at a time, starting with Marco, if you had 10,000 people in a room that were POTENTIAL DAX users what would you tell them in a few sentences to get them interested in DAX? fair, that was sort of a marketing question. @marco what would you say to the people who’ve been doing DAX for a while, what should they focus on? @matt what would you say to the room of 10k potential DAX users in a few sentences? @kasper how would you describe DAX to someone that wasn’t all that technical, for example what if you had to describe to my mom what Austin did for a living? that is the hardest question :slightly_smiling_face: but something like DAX is a language that will allow you to analyse data and express business logic in a simple expression, it is based on Excel functions and uses some similar concepts so it is in reach for every excel user. This has been a great hour of my life, even if it is SUPER early. Thanks to each of you for jumping on and sharing. DAX has been around for 7 years, but we’re just getting started. 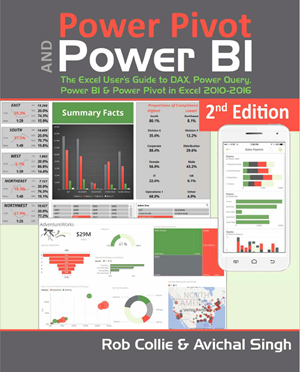 For someone who has been using DAX for a while I would recommend two things: 1 start using variables 2 take a look at the queries that are generated by Power BI and learn from it. @kasper, how to look at the queries? Using DAX STudio? I would add: follow coding rules, keep your code readable. A column reference should always have the table name, a measure reference shouldn’t. Queries generated by Power BI will be visible in an easy way with the next version of DAX Studio (eheheh) but they use a table name before measure reference, which is not something that I would suggest to users to do. like I learnt from Marco? Do you mean the SQL queries? @kasper, are the traces readable? So I can’t read it myself? just double click and it opens it. Alright, good afternoon, good evening. I’ve got to go make some coffee. Everyone have a wonderful day. 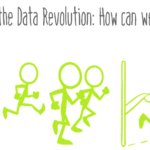 The data-oriented challenges facing your business require BOTH a nimble toolset like Power BI AND a nimble mindset to go with it. And as Val Kilmer / Doc Holladay once said, we’re your huckleberry. Austin spent the last five years using Modern Excel in the field to solve analytical challenges for the financial services industry, first at BBVA and later at Harbert Management Corporation. As a former analyst, Austin is focused on enabling other data professionals to experience the joys of Power Pivot & Power BI. Austin is a CFA Charterholder, former CPA, Excel Power User, and SQL Server Professional, whose involvement in data/analytics projects lowers the communication costs between business users and IT professionals and helps organizations get to solutions faster. Great topic! I especially liked discovering the new blog and the feedburner email link (although the link went to P3 Training!). I will make an effort to learn SuperDAX. Matt did your team win? I really was left in the dark concerning the practical use of variables going back 6-12 months from now. The selected use of variables in the articles from SQLBI.com really began to clear the mist. I have recently experienced a case where the use of variables made all the difference. I don’t believe this could have been solved without the use of variables. So thank you Marco, Alberto! I have a question: Does the query analyzer use variables to improve the query plans other than an improved resuse of scalar expressions? 2-3 months before it happened there was a lot of radio noise leading up to the change. I’m just curious and I don’t know if you can answer the question but what makes Microsoft change a default like this. Is it pressure from the community or big volume customer’s voices or a triage inside Microsoft? It has been very interesting to follow the dialog between the four of you 🙂 A lot of good points were aired. Hi Jess. In addition to Marco’s comments about influencing Microsoft, I think there are many ways including those you mention. Sometimes multiple approaches work best, sometimes having the right person internally to talk to can make a big difference. Last week I discovered that you can’t put a visual level filter on a slicer in Power BI. There was an idea at ideas.powerbi.com but it hadn’t moved up the chain, even though it had a lot of votes. I sent an email to an appropriate person drawing their attention to it and also promoted it for more votes. The next day it was under-review. This is a simple example but I think it demonstrates the points I mentioned. But fair to say that influence wont work on bad ideas and not all good ideas being “influenced” will necessarily get done for what ever reason. The query optimizer might be not so smart in finding that multiple measure references can be evaluated only once. Variables can provide optimization here. 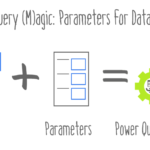 Every new version of Power BI might have a better optimizer, but using variables you make sure that you don’t need it. Regarding bidirectional filters: I and Alberto said to Microsoft that it was a bad idea to enable bidirectional filters by default since early betas of Power BI. So if they changed it later it is probably because they realized how many incidents they had to manage through their support service for unexpected results (and slow performance) caused by bidirectional filters enables in complex data models. I don’t have official info on this, it’s just my guess. Without a doubt the single bigggest improvement to the Dax language for me has been variables. I’m not sure from an optimization standpoint it is a best practice, but i find now that I write fewer measures and encapsulate more if not all steps in complicated measures in a single function call using variables. All but basic SUM ( Table[Column] ) type measures which I do reuse. Makes it easier for me to debug as I don’t have to trace down other measure filter contexts, etc. But a question for @marco : what do you mean by “SuperDAX”? I have never heard that term before. Super DAX is just the internal name of the DAX version that includes variables, SUMMARIZECOLUMNS and other new functions. Basically, what you have in SSAS 2016 and Power BI compared to Power Pivot in Excel 2013. Hi Matthew, in case You haven’t found it yet Kasper de Jonge from the coffee talk described the SuperDAX in this blog post when it was first released.